A.E. Beitzell Oyster House at end of row houses. 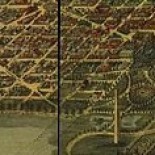 Note: The “Seven Buildings” was an entirely separate row nearby on Pennsylvania Avenue. Don’t forget to check out Foggy Bottom and the West End in Vintage Images. Please note that this is the Six Buildings. The nearest of the row, the seventh, was added later, particularly evident in the different style of windows. 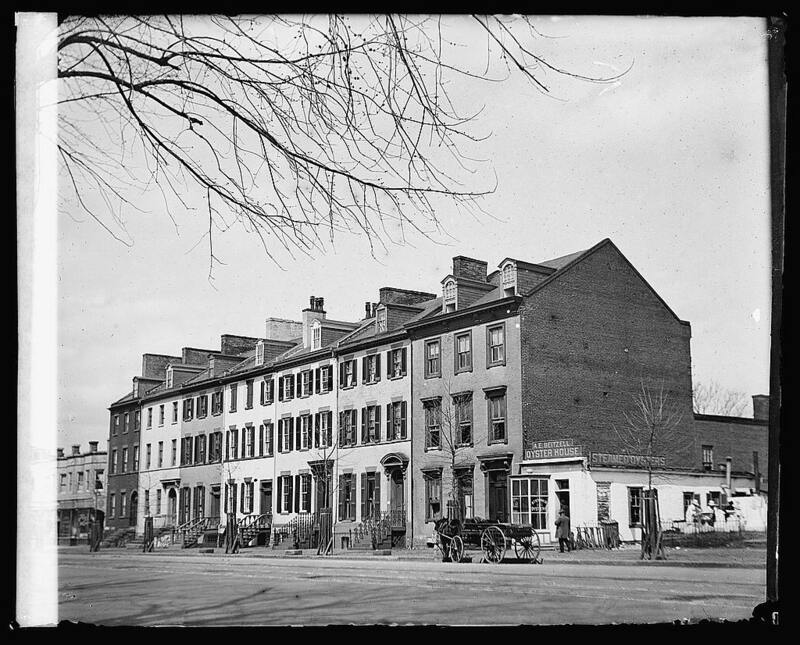 This entry was posted on November 13, 2015 by dchistorystuff in Architecture, Early Washington DC, Photographs, Washington DC, Washington DC architecture and tagged Early Washington DC, Foggy Bottom, Glass plate negatives, Library of Congress, Pennsylvania Avenue, Photographs, Six Buildings.